April is about 12 years old and was returned to CPL when her elderly gentleman owner had to go into care. He adopted her from us just last year and it is very sad that they had such a short time together. April is a sweet nana cat who loves gentle attention. 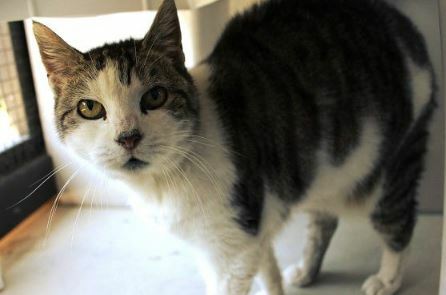 She will suit another quiet home where she can continue to enjoy her twilight years in comfort and tranquility, and she would prefer to be the only pet.